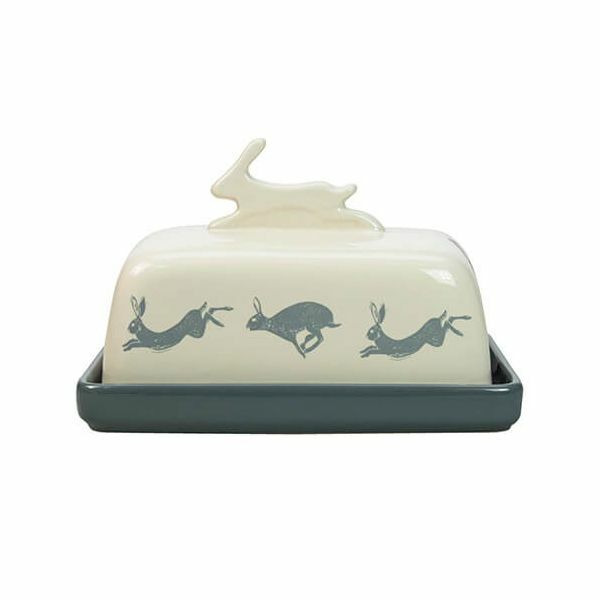 The Artisan Hare Butter Dish is made from fine bone china and hand crafted for this artisan collection. The beautiful hare design features a delicate blue hare on the cream stoneware surface. The butter dish is perfect for keeping butter clean and dry and looks equally stunning on display. Part of a collection this butter dish makes a lovely gift. Suitable for use in the microwave and is also dishwasher safe. Dimensions 10.2 x 17 x 11cm.